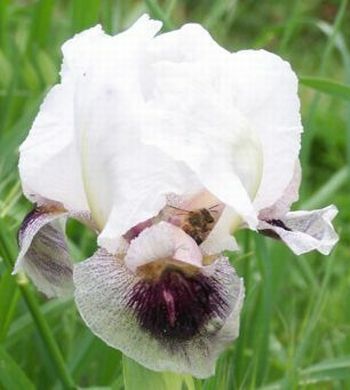 The aril irises include some of the most amazing plants in the genus Iris, from the largest flower (over a foot in length) to tiny dwarfs (the whole plant only a couple of inches high). 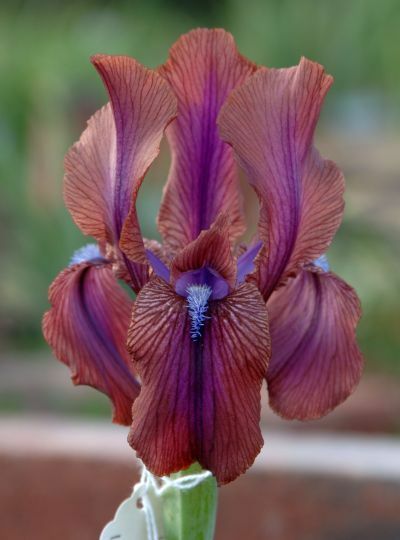 Arils can also be the most challenging plants to grow, requiring exacting conditions, but the glorious exotic flowers and the pride of achievement compensate the effort. 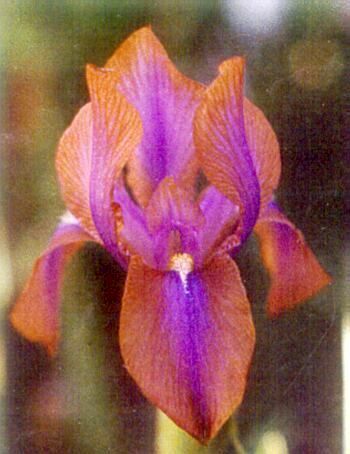 Arils have been crossed with their easier cousins the true bearded irises to create arilbreds, a separate horticultural class that brings easier culture but retains some of the exotic traits of the pure arils. 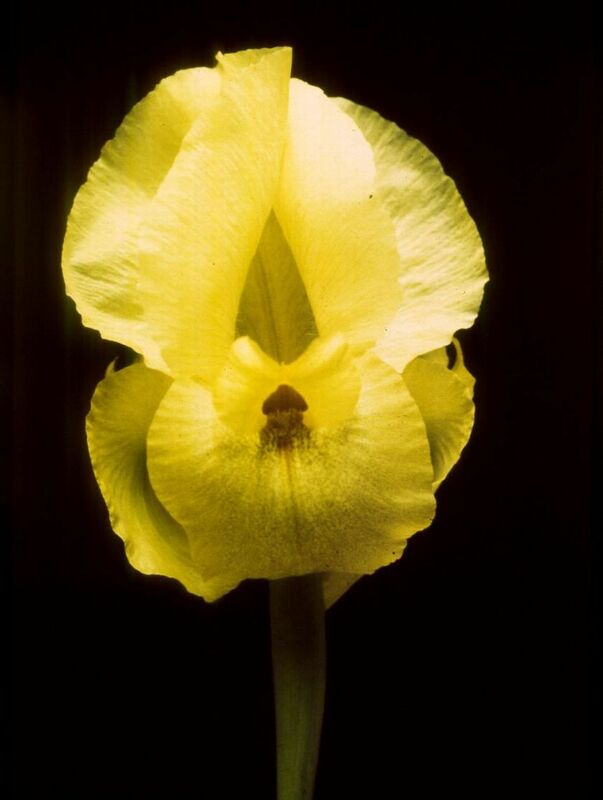 Arils tend to come from areas of restricted rainfall. 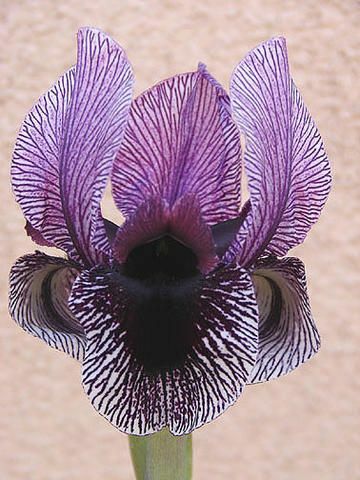 They are often referred to as desert Iris. But depending on the species these "deserts" can range from high Himalayan plateaus to coastal Mediterranean climates. 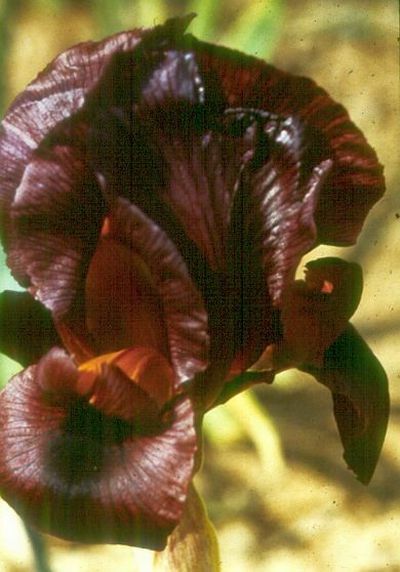 Most require a dry summer dormancy. 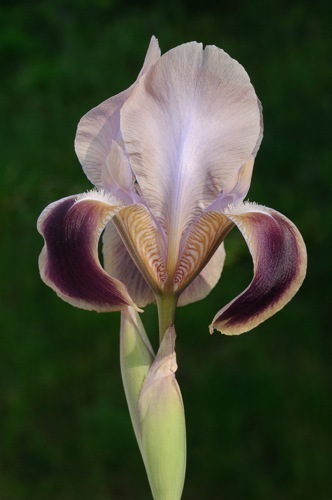 Aril iris are so named because of the fleshy collar on one end of the seed that is believed to be food for ants. When the ants carry it off they plant the seed. 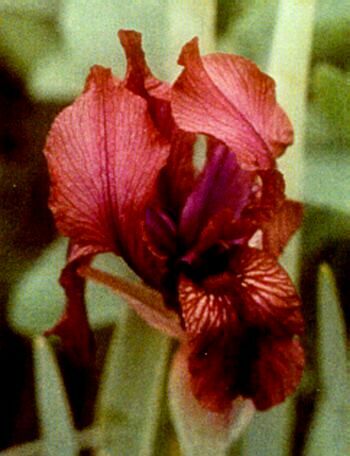 Aril Iris have distinctive beards from the better known bearded Irises. 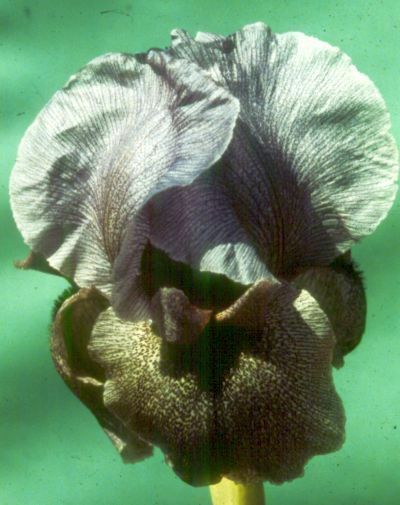 In some cases the beard may be a broad patch of short hairs that appear like velvet. 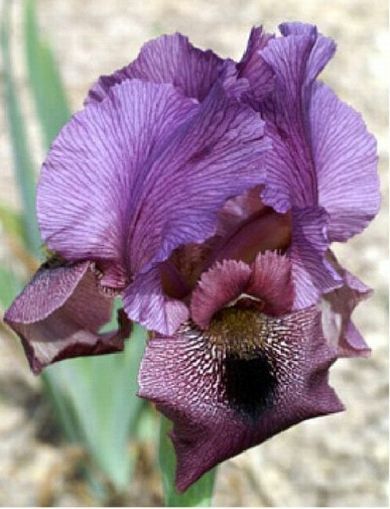 Many of the oncocyclus types have large black spots below the beard that rivet the eye. 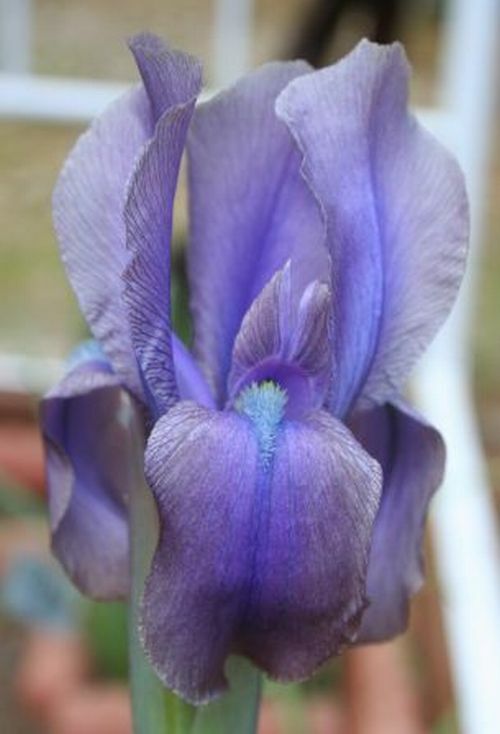 The color palette of the flowers has often been compared to Oriental rugs and may have been an inspiration to the artisans since they both originate in the same parts of the world such as Turkey, Iran, Afghanistan, etc. 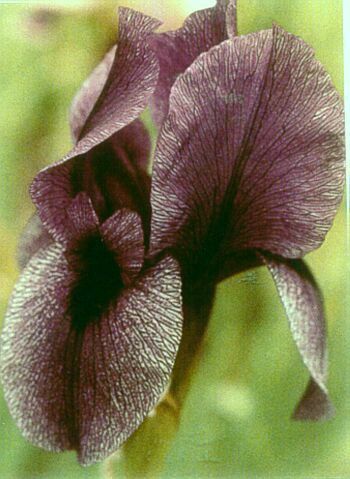 Aril irises are species of the botanical sections Oncocyclus and Regelia , and hybrids involving only these two sections. The highest award for this class is the Clarence G. White Medal. 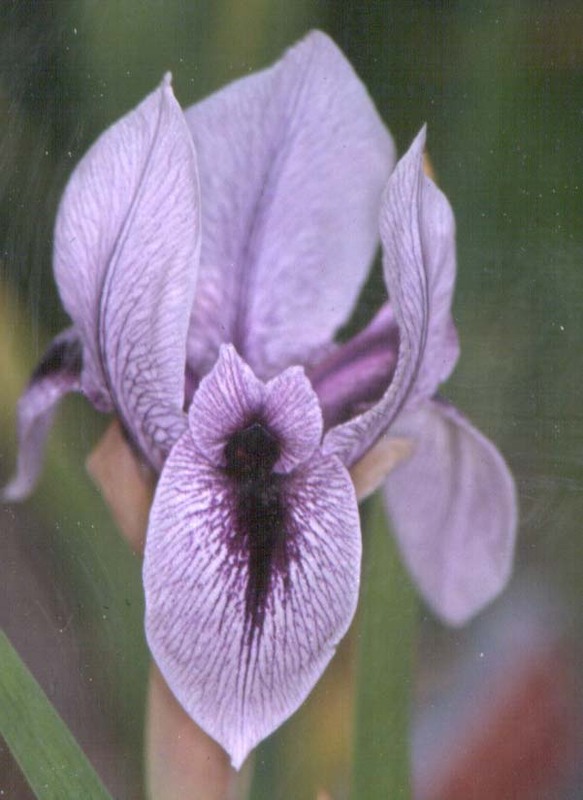 Articles about Arils; See also Cultivation of Oncocyclus.